Texas Freckles: Is it June already? I've been absent from the blog for a long while now, but I have been keeping very busy. and, * get my house and garden cleaned up to host a dinner party for a few friends on Friday night. 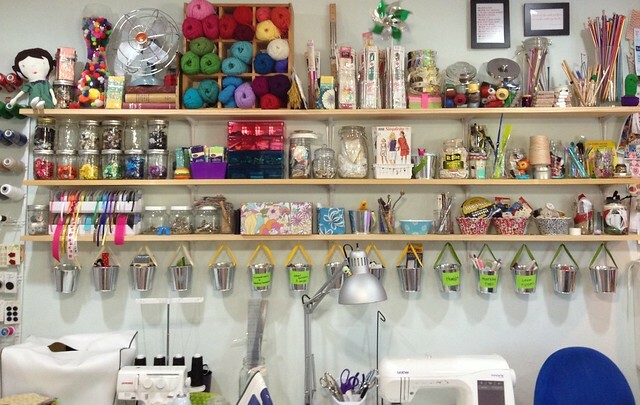 Next week, I'm teaching two sewing camps in the studio, so I'll have four girls from 9:00 until noon and four girls from 1:00 until 4:00 each day. I know we will have a great time, but I also know I'm going to be exhausted when it's over! 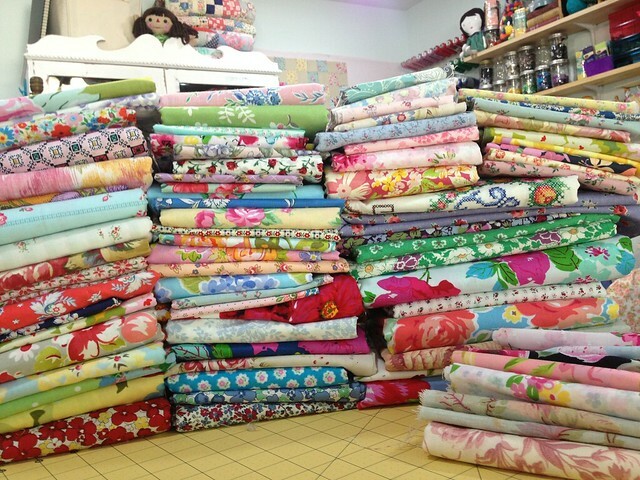 Here is a peek of what's been going on in my sewing room. I've started pulling together fabrics for my dream quilt. Floral, floral, and more floral. 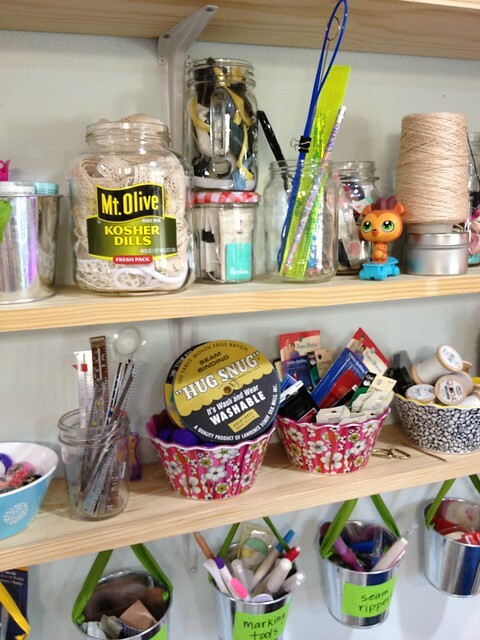 My sweet hubby put some great shelves up in the sewing room above my sewing table a while back, and I love them! I like having my stuff organized, but out where I can see it. I refinished a large curio cabinet for my quilting fabric and I love it too. The closet is still full of fabric, and there are probably about 10-15 big plastic totes in the basement/storage of fabric too, but at least this fabric is out where I can enjoy the wonderful colors. This is where I'm sitting right now, writing this post instead of working on that 'to do' list above. I guess I need to get back to my list. I hope your summer is gearing up to be full of fabulous fun! Your room looks great. What I'd like to know is how you got the smell out of your Mt. Olive Kosher Dill jar?! Wow! 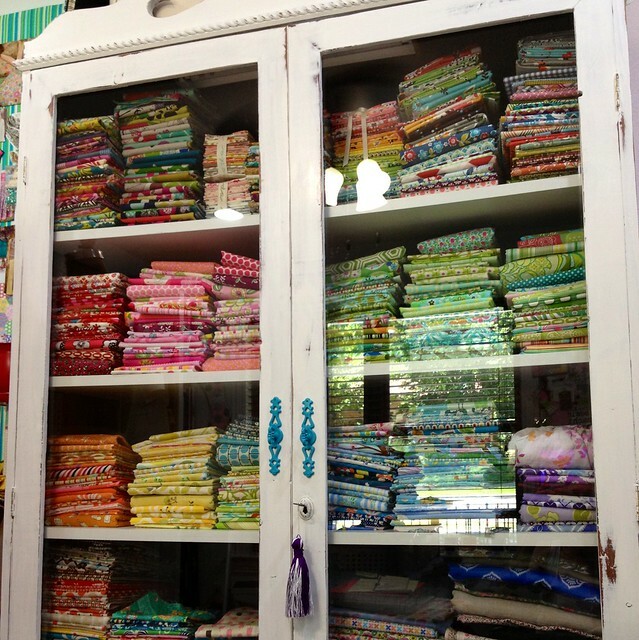 What a great sewing room. 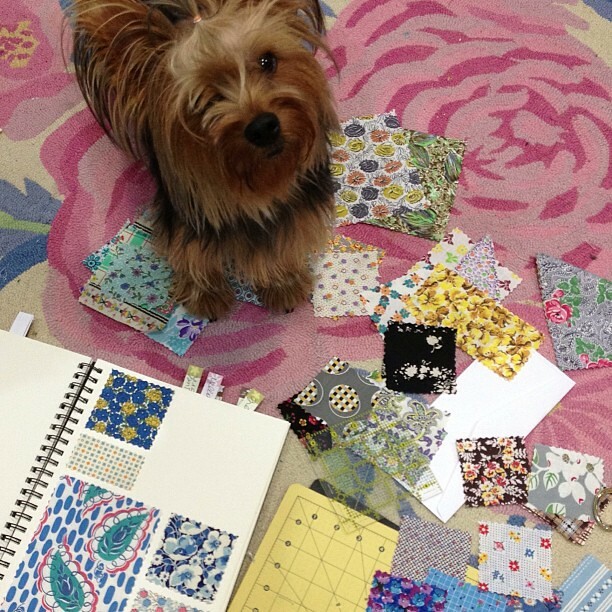 I love your floral fabrics too. 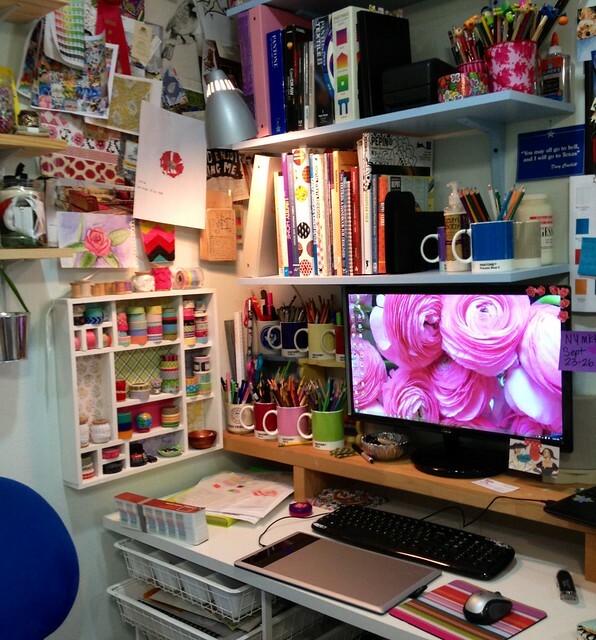 Love your sewing room! The bright colours are indeed such delightful eye candy! !